SpeedCartt is a fast modular picking cart to supplement your order fulfillment, restocking, seasonal demands, and more. 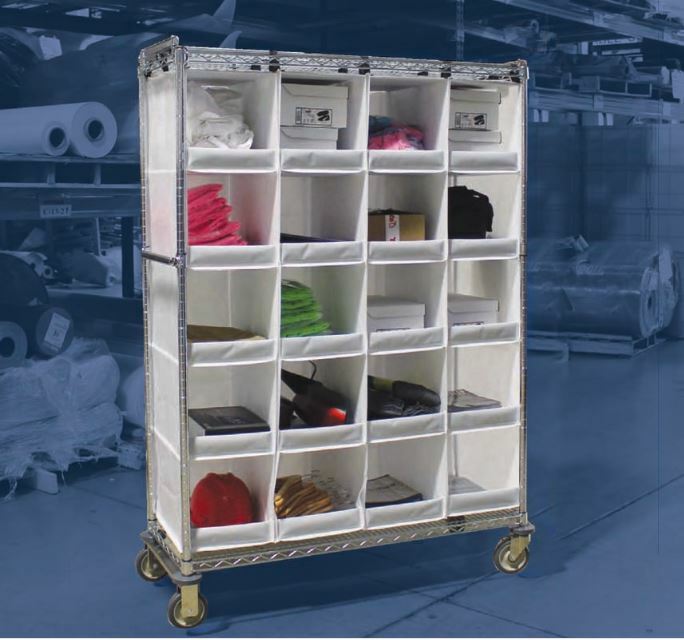 Configurable for either single-sided or back-to-back storage, SpeedCartt allows greater SKU availability than individual boxes and bins. A proprietary design and made from the same durable yet lightweight textile as SpeedCell, SpeedCartt provides years of convenience, safety assurance and long-term usability wherever and whenever you need it. While constructed to provide superior flexibility in most order picking or piece-work circumstances, custom solutions are available upon request. Copyright © SpeedCell 2019. All rights reserved.